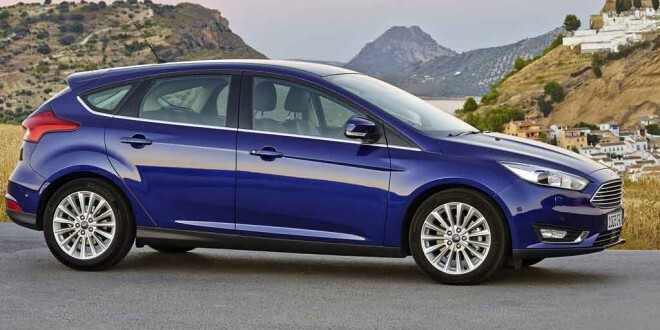 The new Ford Focus introduces some new technologies and goes on sale in November. 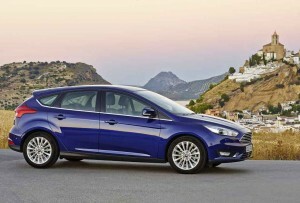 A newly updated version of the best-selling Ford Focus will be here in November and will start from €20,295. Engine choices include the familiar 1.6 litre diesels in 95 bhp and 115 bhp forms and a 2.0 litre 150 bhp diesel will also be offered. Petrol options consist of the 1.0 litre Ecoboost engine, which can be had with either 100 or 125 bhp. This is a cracking little engine and has been voted International Engine of the Year three years in a row. It could be a canny choice for anyone not doing enough miles to justify a diesel. An entry level Focus will be offered and the range also includes Style, Zetec and Titanium trims, all familiar to Ford buyers. Bodystyles include a five door hatchback, four door saloon and five door estate. All Focus models come with ESP with Hill Launch Assist, MyKey Gen 2, body colour bumpers and spoiler, electric front windows, tyre pressure monitoring, power door mirrors, remote locking, anti-allergic interior and capless refuelling, which also prevents the car from being misfuelled. Style adds air conditioning, Ford SYNC, CD with USB, heated door mirrors, body colour door handles, leather gear knob and 16” alloys. Zetec models also get front fog lights, quickclear windscreen, sports suspension and sports front seats while top-spec Titanium trim gets 16” alloys, keyless start, cruise control with speed limiter, dual zone climate control, electric rear windows and front and rear LED reading lights. The Focus introduces some new technology, including an 8” colour screen, available for the first time. Ford SYNC 2 is the latest iteration of the system which controls the navigation, telephone and entertainment systems. Impressively, it’s able to read out texts received on a paired phone, which is a great safety aid. The system can also be controlled by voice. MyKey was first introduced on the smaller Fiesta and makes its debut here on the Focus. It allows restrictions to be placed on a second key and is particularly aimed at younger drivers borrowing the family car. Top speed and music volume in particular can be controlled, but other restrictions are also available through the system. Parking assistance has been greatly enhanced with the introduction of perpendicular parking, which parks the car automatically alongside other cars. This is in addition to the parallel parking the system was already capable of. A new one on me is Park-Out Assist, which takes over steering control when coming out of a parallel parking space. 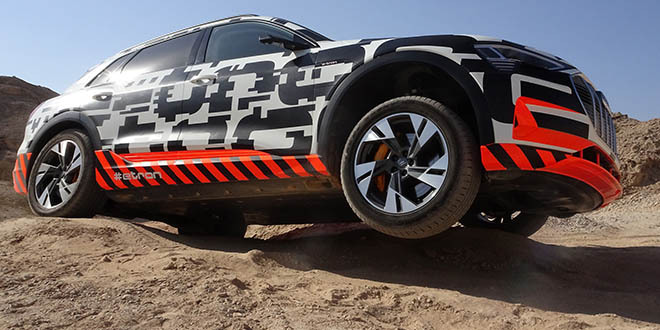 There’s also a warning system which detects potential collisions when reversing out of a perpendicular parking space. It operates at distances up to 40 metres but to my mind is totally redundant as the only way to park is to reverse in and drive out.